Torrential rains haven pushed already swollen rivers and streams to virtually unheard-of heights in parts of Missouri and Illinois. 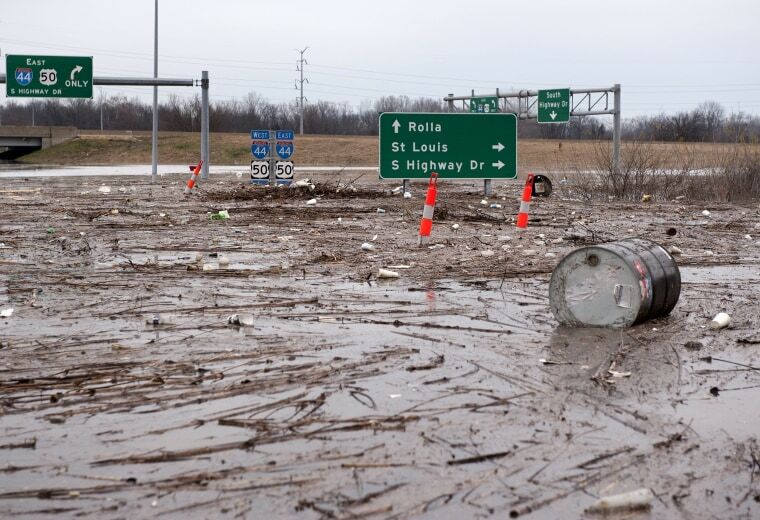 Water floods Interstate 44, west of Highway 141, in Fenton, a suburb of St. Louis, on Dec. 30, 2015. Thirteen people in Missouri have died in floods caused by severe storms over the weekend, and although the rain has moved on, swollen rivers are still rising and won't crest for days, Gov. Jay Nixon said. 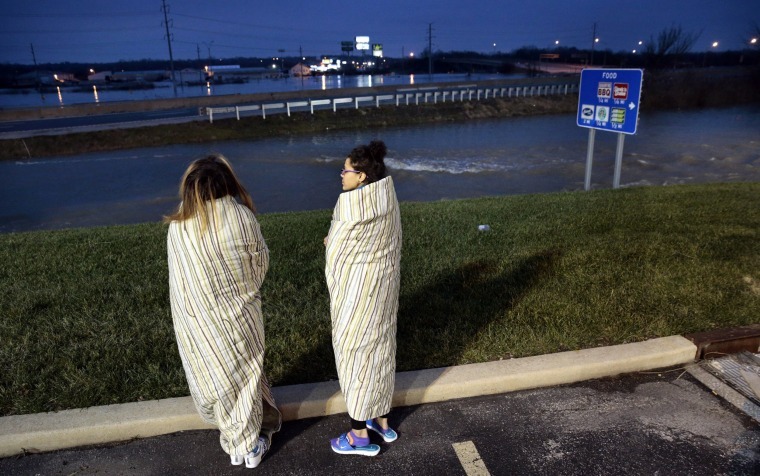 Sisters Shanique Hager, left, and Brieanna O'Neal watch the flooding of Interstate 44 in Fenton, early on Dec. 30. They are wrapped in blankets from their room at the Drury Inn & Suites where they evacuated. 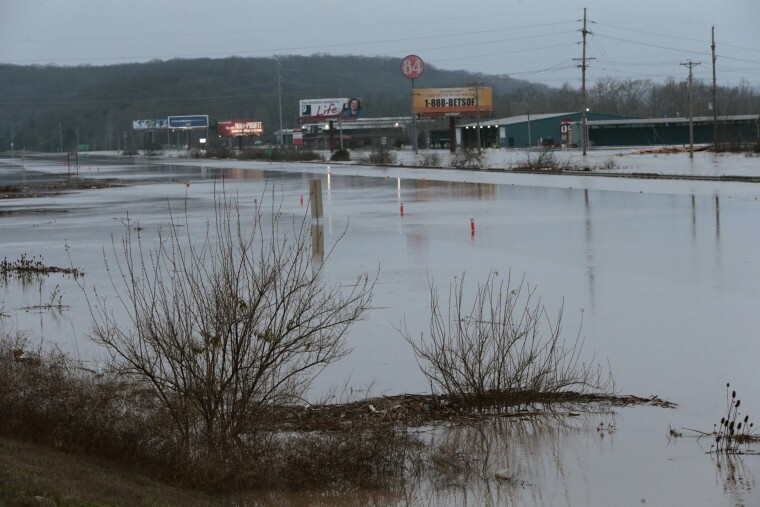 Floodwaters from the nearby Meramec River fill the traffic lanes of I-44 and Missouri Route 141 near Valley Park, Mo., just west of Saint Louis, on Dec. 30. 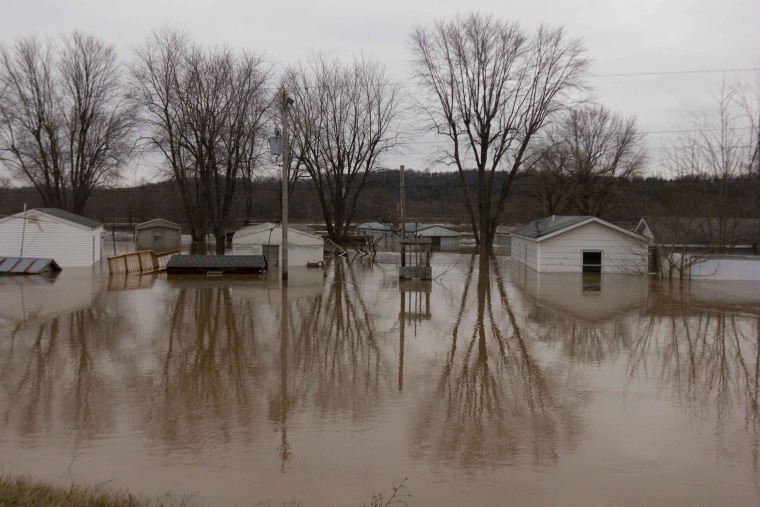 Floodwaters surround homes on Dec. 29 in Pacific, Mo. 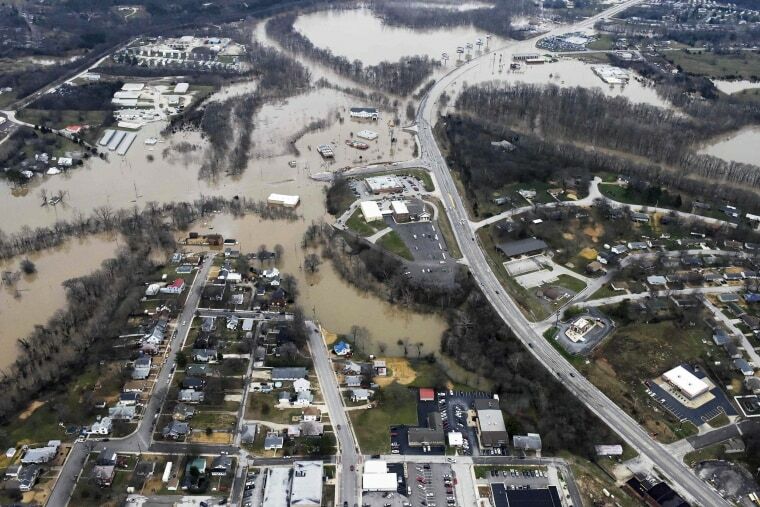 Houses are surrounded by floodwaters from the Bourbeuse River near Interstate 44 in Union, Mo., on Dec. 29. 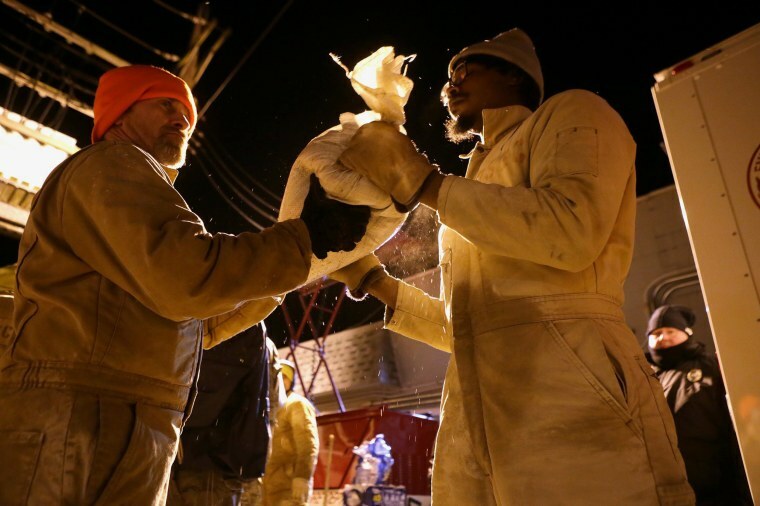 Michael Wilson, left, 45, and Bernard Wilson, 27, inmates at the Missouri Eastern Correctional Center, join several dozen volunteers filling sandbags to prevent the Big River from flooding a wage treatment plant in St. Louis on Dec. 29. 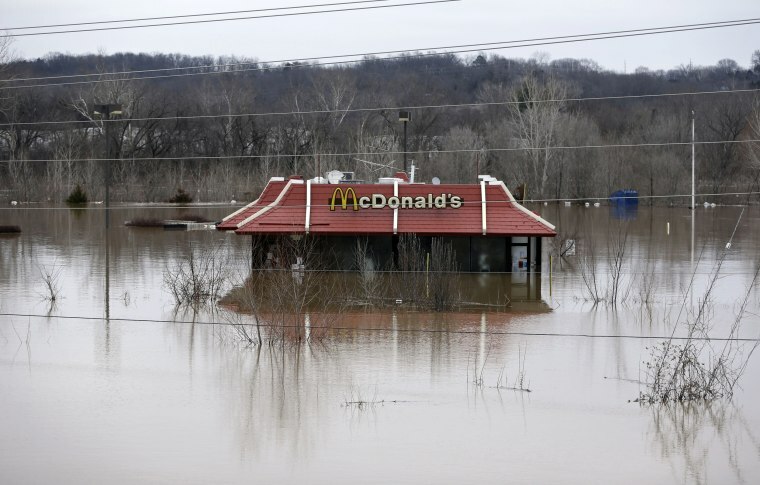 Floodwaters from the Bourbeuse River surround a McDonald's restaurant on Dec. 29 in Union, Mo. 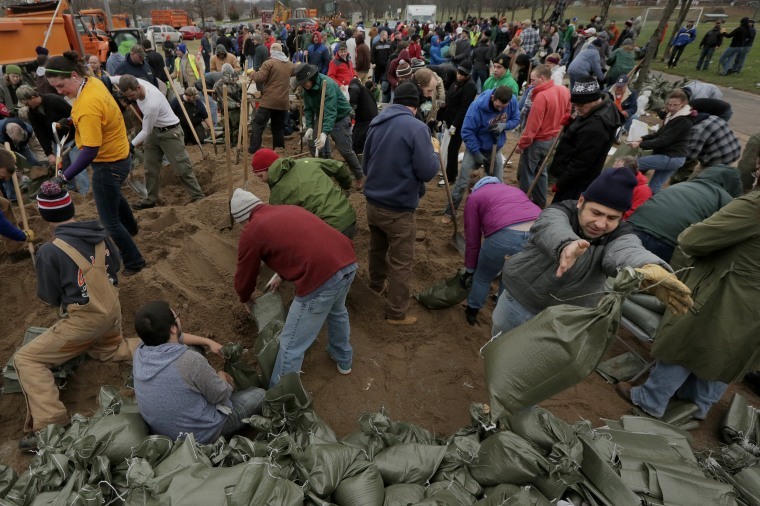 Hundreds of volunteers fill sandbags at River Des Peres Park in St. Louis on Dec. 29 to hold off the river. 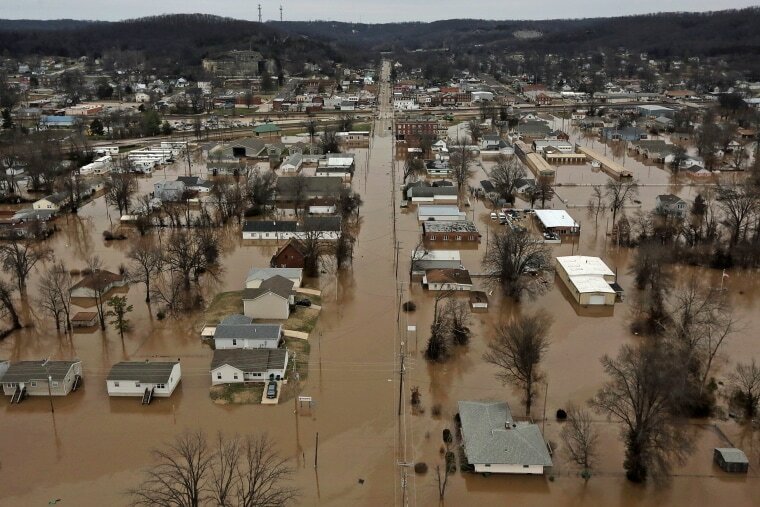 Houses and roads are submerged in floodwaters in Union, Mo., on Dec. 29. 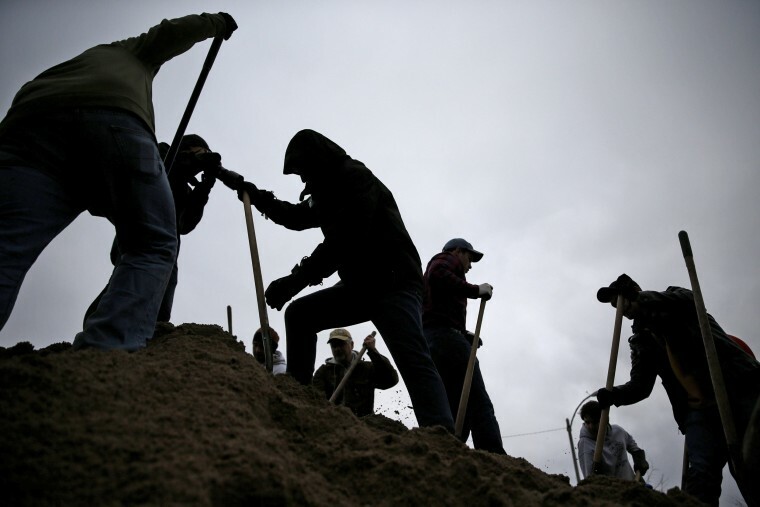 Volunteers fill sandbags in St. Louis on Dec. 29. 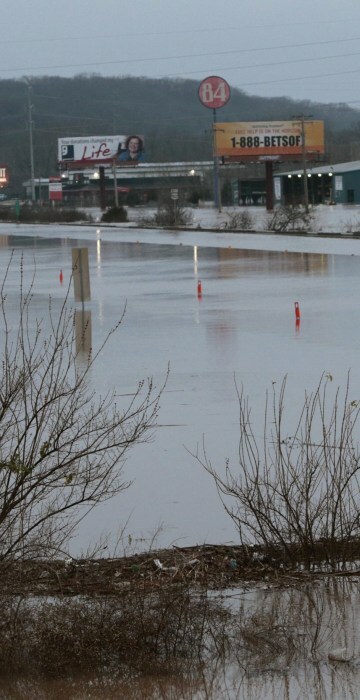 Gallery: Massive Flooding as Storm Pounds Central U.S.